Some activities just go together. I’m not entirely sure why. Like sports and beer. It doesn’t seem to matter if you’re playing the sport, or watching it on television, or attending a game at a stadium. Beer and sports go together. Families have their own rituals too. For some people, a picnic wouldn’t be a picnic without potato salad. Or maybe it’s coleslaw. Whatever. I think you get the point. Well, I have a rather unusual routine, that I may have shared with you in the past. Maybe I haven’t. But it’s simply that whenever the mechanic needs to do something significant to the car, I spend the day at the mall. Colonie Center, to be precise. And I could walk you through the reasons of how this came to be, but those aren’t all that interesting. What I wanted to share was the brilliant discovery that we made at lunch yesterday. It’s hard to be a mall in the modern era of digital consumerism, where anything you want can be at your door in two days, without you having to leave your house. With that new microphone doodad, you don’t even have to turn on a computer to buy a product online. Both Sears and FYE are closing their Colonie Center stores. The kids and I considered buying some of the Sears fixtures. How much fun would it be to have a mannequin around the house? We passed on that, as well as the insanely cheap DVDs at FYE. Even for a few bucks, it didn’t seem to make sense to own video content when so much is available to stream on the internet. All of this failed consumerism was making us hungry, and Young Master Fussy had a hankering for Five Guys. But I had other plans. 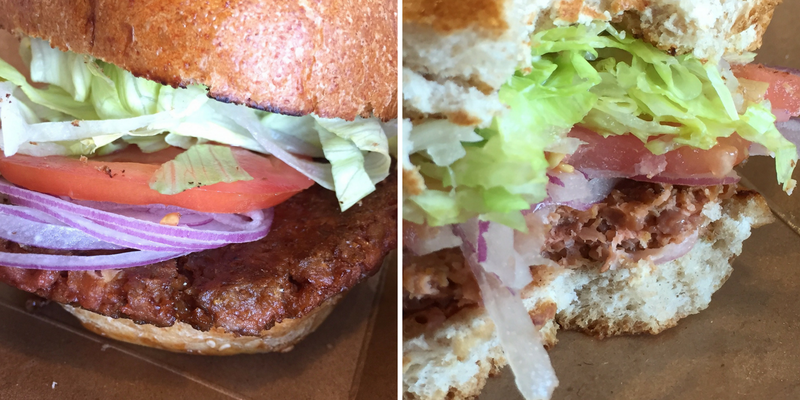 I wanted to try the Beyond Meat veggie burger at Whole Foods. He agreed to check out the options at the grocers, and to keep an open mind. Thankfully, they were offering samples of the traditional beef burgers from the grill station. He had a bite and he was hooked. The Beyond Meat burger was fine, but I wasn’t blown away. I did however get to try a couple of bites from the kids’ hamburgers, and those were fantastic! Plus, given the quality ingredients and portion sizes, $6 seemed like a more than fair price to pay. That’s not normally a phrase you hear associated with anything at Whole Foods. Seriously, this is without a doubt the best place to eat in the mall. Even though you’re eating inside a grocery store, with all the hustle and bustle of people shopping, for some reason it felt more peaceful to me than walking through aisles of consumer goods. Maybe it has something to do with feeling at home in supermarkets? I’m not sure. 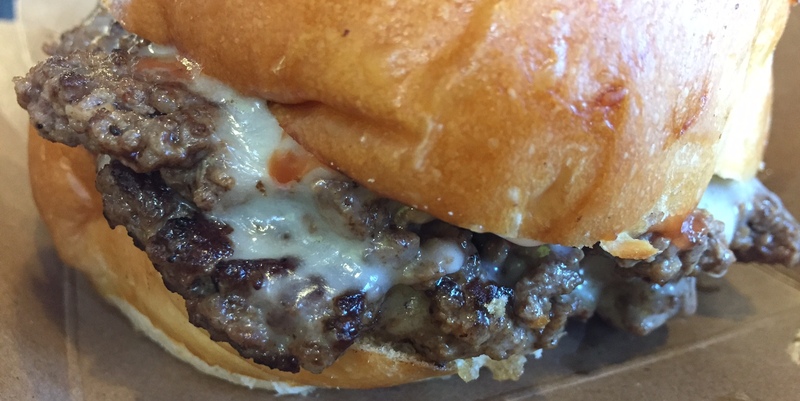 What I do know is that I regret waiting so long to try these burgers. Today, I’ve got a lunch date with my kids at the other mall. Crossgates. You know, the one without the Whole Foods. And I’m having trouble thinking of anything that might be okay for lunch. Maybe, just maybe, I’ll give that Hawaiian place in the food court another try. It has fallen short of the mark on two occasions, but perhaps I’m honing in on something good. Anyhow, I’m open to suggestions. Hope you have a great weekend, and maybe I’ll see some of you later tonight at the whiskey sour contest at Savoy on Lark. It’s a rare Friday night out for the Profussor, and I plan to make the most of it. If you’re on the fence, you should totally come. It would be great to see some friendly faces, even if we haven’t met yet. Good news: I’ve made arrangements to have prices at Whole Foods lowered on some of the most popular items. Please check back on Monday.